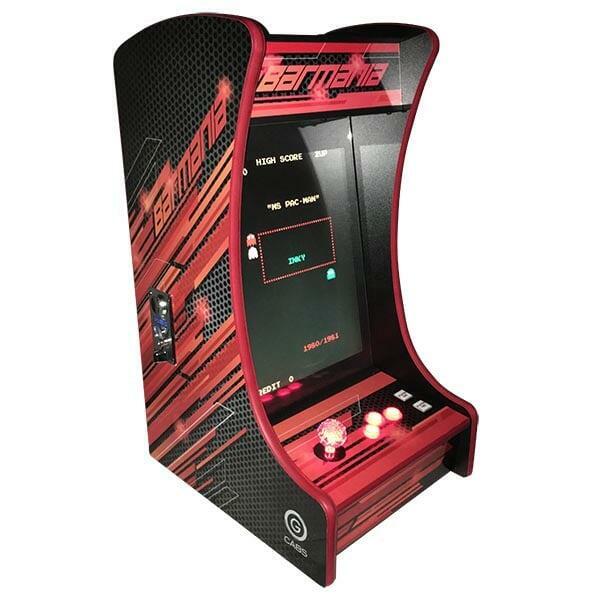 Barmania is a bartop classic arcade by Leisure Select that features 60 of your all-time favorite arcade games. 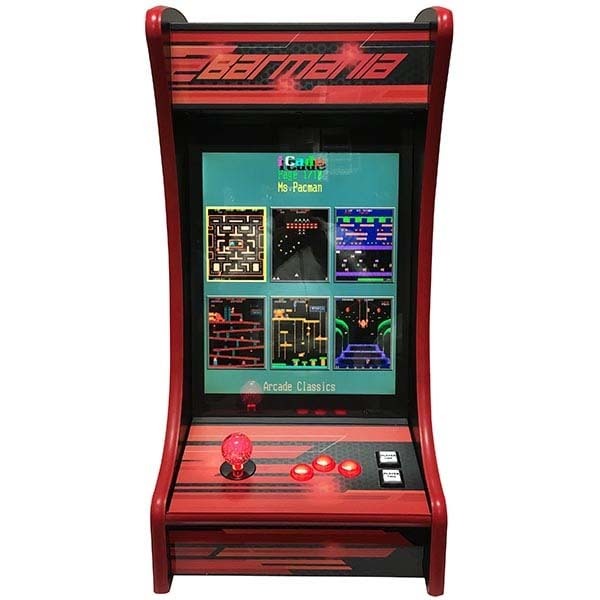 The Barmania includes the most popular iconic game collection, including Pac-Man, Millipede, Frogger, Donkey Kong, Galaxian, Space Invaders, and Galaga. The Barmania offers a quality 19” LG Monitor for true, crisp graphics. LED lighting illuminates joysticks and the underside of the cabinet. The Barmania is protected by scratch resistant tempered glass and features convenient external volume control. Casters and leg levelers make it easy to move and to level on uneven surfaces. Dimensions D18" x W"15" x H29.5"